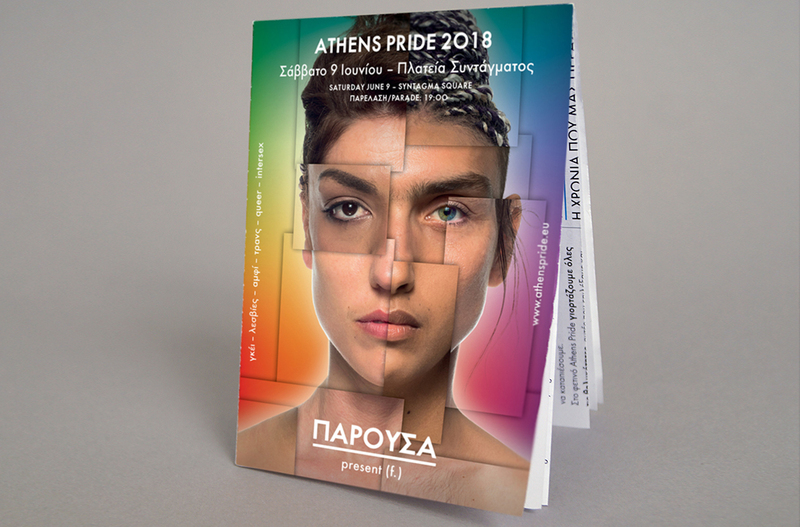 Every year the Athens Pride chooses one strong slogan for its communication campaign. 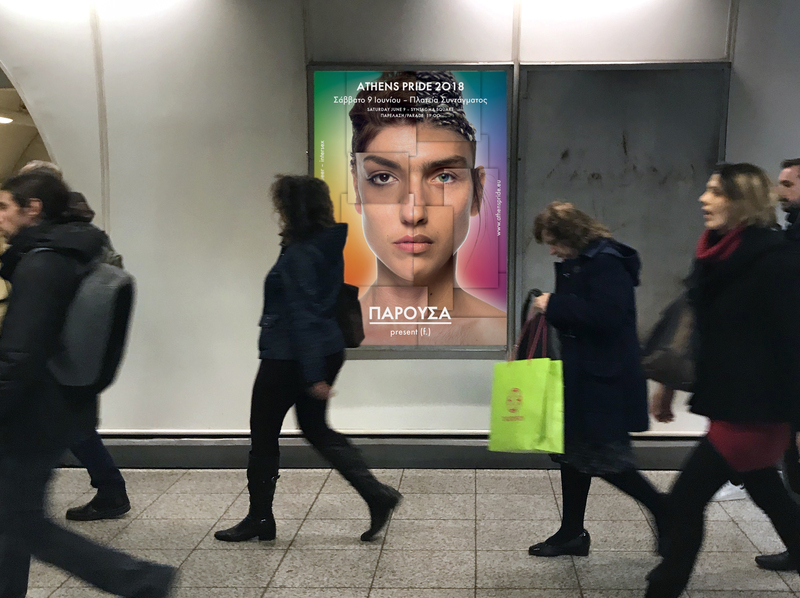 In 2018 the slogan was “present (f.)”, with the aim to communicate femininity in every gender expression. I designed the campaign visual and brochure. 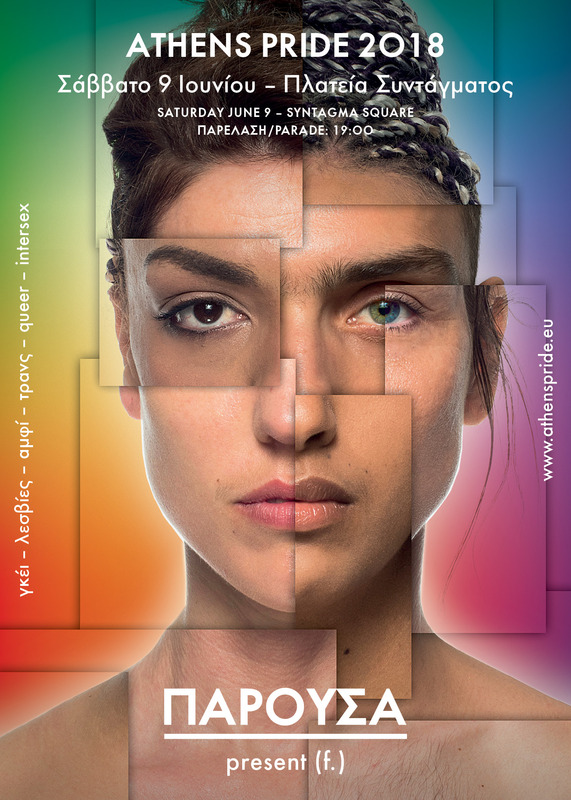 For the key visual I created a collage of different faces (including men, women and trans people) that compose harmonically a new face symbolising inclusive femininity.